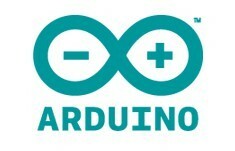 This is the Arduino Uno R3, mother of all duino's. The most used board in the family. Starting with arduino, this is your board! The Uno Rev 3 adds SDA and SCL pins next to the AREF. In addition, there are two new pins placed near the RESET pin. One is the IOREF that allow the shields to adapt to the voltage provided from the board. The other is a not connected and is reserved for future purposes. The Uno R3 works with all existing shields but can adapt to new shields which use these additional pins.